The single most important piece of farm equipment is a tractor. 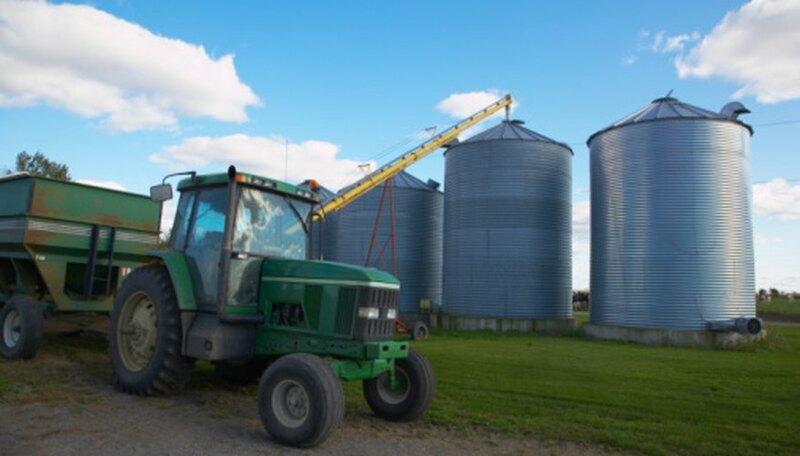 No other piece of agricultural or farm equipment is as versatile in terms of handling a variety of chores and projects. Aside from a tractor, most other farm equipment is very industry specific. In addition to a utility tractor, the most important pieces of equipment for farm work are tractor attachments. Tractors come in a variety of shapes, sizes, and options. Farmers must obtain the size tractor they need for the routine jobs they expect it to handle. For example, crop and livestock farms benefit from a utility tractor with a PTO drive and a front end loader. Such a set up allows the use of pull behind attachments, such as mowing decks and harrows, as well as front end attachments, such as hay forks and buckets. Larger operations and industrial farms benefit from larger tractors with similar set ups using larger attachments for big acreage. No matter if a farmer grows crops or raises livestock, farming requires managing fields. Tractor attachments such as disc harrows and root rakes help farmers turn over fields for new planting or prepare grazing lands for reseeding. Mowing decks in various sizes and configuration allow farmers to trim underbrush around planted fields or cut hay for winter storage. Each of these field management attachments runs as a pull-behind attached to the tractor's PTO, using the tractor's engine as a power generator. Just as all farmers must manage fields, so too must farmers manage and maintain the roads within the farm's boundaries. Rain and vehicular traffic are hard on dirt roads, with a single night's rain capable of washing out weaker dirt paths. Pull behind tractor attachments such as box blades allow farmers to resurface dirt roads regularly. Buckets on the front of the tractor allow for deeper road cutting to repair drainage ditches and other roadway necessities. Hay forks on the front end of a tractor permit farmers the ability to lift and move large round bales of hay for feeding livestock. Fencing, a common boundary marker for most farms, as well as a common necessity for livestock yards, requires constant maintenance and upkeep, for which tractors have attachments. Fence stretchers, augers for digging post holes, and other attachments make the job of installing and maintaining fences much easier. Additional attachments allow tractors to do the work of backhoes and other earth moving equipment.